Elena Maria Vidal EM Vidal is the author of Trianon: A Novel of Royal France and Madame Royale. 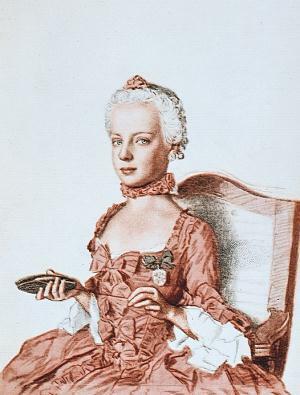 Images of Marie Antoinette One of a number of Yahoo Groups moderated by Axel, the author of our biography and diamond necklace articles. Le Boudoir de Marie-Antoinette French forum for discussion and friendship about Marie Antoinette, many members are also members of the forum here! The World of Royalty Extensive site exploring the royal families of the world both present and historical. Versailles Official website of this former royal residence. See biographies of the famous figures who have lived and worked at Versailles, take a virtual tour of the palace and take a look at some fabulous works of art.